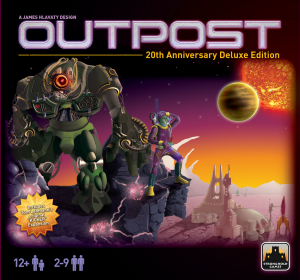 Outpost is a futuristic economic game set in space which is richer than it may first sound. 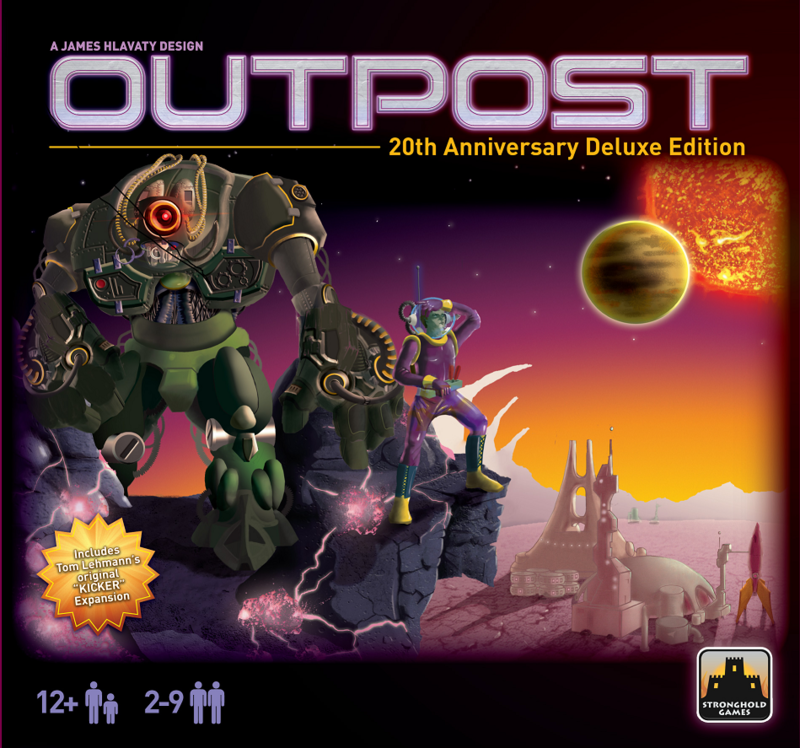 The game ends as soon as one player has gained 75 victory points (VPs) or more, and the winner is player with the most VPs at the end of that round. Player start with some ore mining facilities and a few human colonists to run them. During the game, players will build new (and usually better) production facilities and will gain technologies and more colonists too. The golden rule is (apart from one exception) if you don’t have colonists (or robots) to run a production facility, it is not ‘manned’ so does not produce anything and is worth 0 VPs. Each player has their own player board which shows their current VPs, maximum number of human colonists, and the maximum hand size (cards).